A collection of games, activities, and instructional strategies to liven keyboarding classrooms. Qty. of 1 $35.95 ea. Qty. of 2+ $29.95 ea. 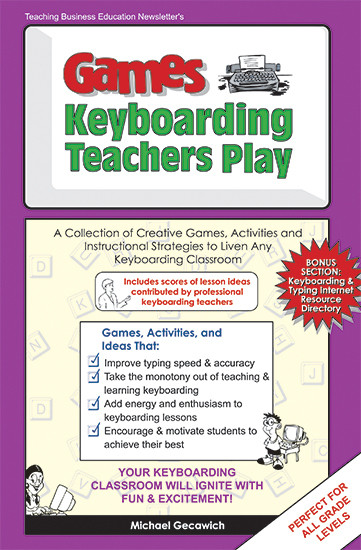 Games Keyboarding Teachers Play is packed with a treasure chest collection of sensational games, activities, and instructional strategies that will make teaching and learning keyboarding a brigade of fun in your classroom! The most exciting book ever to be published in the field of keyboarding and typing! How to play the game "football keyboarding"